Newly emerge bus operator Billion Star Express is located at the Penang Georgetown area which offers daily trip for bus from Penang to Kuala Lumpur, Penang to Hatyai, Penang to Singapore, Penang to Johor Bahru. With this strategic location in Penang (i.e. Prangin Mall and Sungai Nibong Terminal) has bring much convenient to all travelers in Penang who wish to take the bus to various parts of Malaysia. 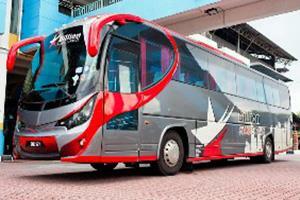 Billion Star Express also offers return trip from Singapore and Kuala Lumpur. 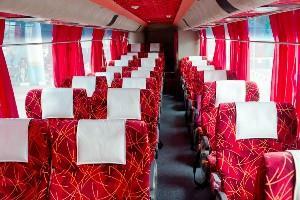 Daily trip from Singapore to Kuala Lumpur, Singapore to One Utama, Singapore to Penang etc. The pick-up locations in Singapore will be at Golden Mile Complex in Beach Road and Kitchener Complex which is very near to Lavender MRT Station. Billion Star Express buses are all well maintained and comply to the international safety standard to ensure safety reliable and comfortable ride to our customer.